I’ve been working on a small e-commerce website for a while now. 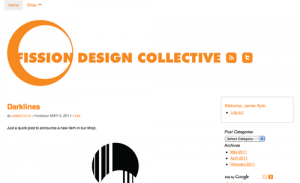 It’s based on the WordPress CMS and the Thematic Framework (something I’ve used before) and is designed to sell the work of some of my artistic friends. Through it I’m selling posters and prints of their work. 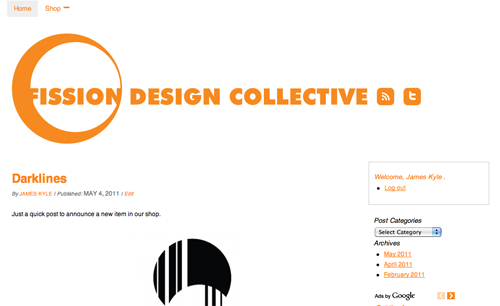 You can view the website itself at www.fissiondesign.com. Have a look around and feel free to add comments or provide feedback.